This week’s guest, Lois Pryce, needs no introduction but for the sake of protocol here goes… Lois Pryce first hit the road in 2003, she bought a small trail bike – a Yamaha XT225, jacked in her job and set off to ride 20,000 miles from Alaska to Argentina. Her book “Lois on the Loose”, which documents this trip, gained many followers among the adventure motorcycling fraternity. Her passion for adventure travel on a motorcycle continued and she undertook another trip from London to Cape Town. 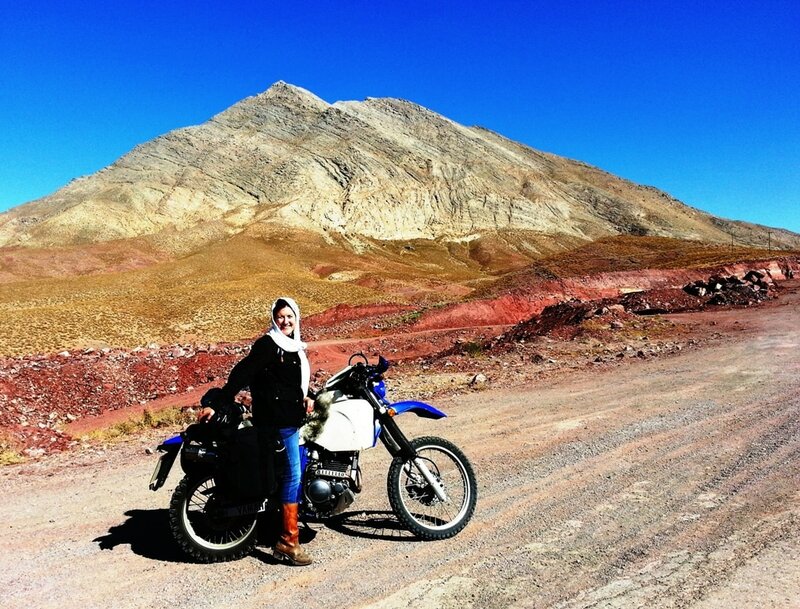 Her third book “Revolutionary Ride” is all about her travels in Iran. Lois, along with husband Austin Vince, organise and host The Adventure Travel Film Festival. In this episode Lois and I discuss the endless surprise that travelling in Iran offers, the true kindness of the Iranian people and some of the woes of visiting this politically challenging country. To buy “Revolutionary Ride” in the UK click here.